In a seven-year period, my average personal injury settlement with GEICO was $60,660. * (I’ll explain in detail in a moment.) I’m referring to personal injury claims. I’m not talking about claims for damage to vehicles. Below is a graph that shows my percentage of settlements with GEICO for different amounts. It is for the time period from 2010 through June 2017. My average settlement with GEICO is much higher than my average injury settlement with all other car insurers combined. * (When calculating my average settlement and settlement amounts with GEICO, I used the total settlement from all insurers in the case. Thus, if GEICO was a bodily injury liability (BIL) auto insurer, and I recovered additional BIL insurance from another insurer, I used the total settlement. There is a reason why my average injury settlement with GEICO has been much higher than my average settlement with all other insurance companies combined. The reason is that some of the claimants in these GEICO cases were badly injured. Seriousness of injury is the biggest factor that increases settlement value. The claimants had surgery in several of these cases. Does GEICO Make a Fair First Settlement Offer? Often times, no. For example, I settled a case for $125,000 with GEICO. (I’ll discuss it in a moment.) GEICO’s first offer was $81,000. That was 65% of their final offer, $125,000. I settled another case with GEICO for $100,000. GEICO’s first offer was $4,500. That is only 4.5% of their final offer, $100,000. Most of that settlement was for pain and suffering. Let’s look at some of my injury settlements with GEICO. Do GEICO Adjusters Make More if They Pay You Less for an Injury Claim? GEICO adjusters get a profit sharing award if GEICO is profitable. In other words, the more money that GEICO makes, the more GEICO injury adjusters get paid. Thus, GEICO adjusters have an incentive to pay you less for your personal injury claim. Here it is. In 2013, GEICO’s average profit sharing award was 21% to eligible associates. Here is a profit sharing memo to one GEICO bodily injury adjuster. This is a GEICO internal document. The document says confidential. However, the judge said that the document was not confidential. How did I get this document? GEICO produced it after Linda Ford sued GEICO for allegedly acting in bad faith in an injury case. That isn’t my case. Thus, GEICO bodily injury adjusters have a big reason to pay you less! The less they pay the more they pocket. Does GEICO Like to Take Cases To Trial Instead of Settling? Let’s look at what GEICO employees actually say. I took the following quote from a Performance Guide & Appraisal of GEICO’s regional claims manager, Gary D. Gertz, in Lakeland, Florida. Thus, we know that this GEICO regional claims manager was proud of how many cases went to trial. He was also proud that the number of cases that went to trial had increased by 50. That quote if from an Exhibit from the lawsuit of Linda Ford as personal representative of the estate of Megan Marty, a deceased Minor v. Government Employees Insurance Co. This isn’t my case. Ford sued in federal court in North Florida. The case number is 1:14-cv-00180-MW-GRJ. The jury found that GEICO did not act in bad faith in failing to settle Linda Ford’s bodily injury claim against Kristin Spires. That said, GEICO still settles most of its personal injury claims. You’ll see below that I’ve settled many personal injury claims with GEICO. GEICO paid a driver $125,000 after a car cut him off and they crashed in Miami. He suffered a broken hand and had surgery to fix it. I represent the injured man. Most of the settlement was for pain and suffering. Car that claimant was driving. See a $100,000 settlement for a lady hit by a car in North Miami Beach. She said the crash worsened her pre-existing bulging discs and herniated discs. She also broke her nose. Sara had injections to her lower back. A neurosurgeon recommended lower back surgery. GEICO paid its $100,000 BI insurance limits about three months after the collision. Most of the settlement was for pain and suffering. I represented the injured driver. How Long Does It Take for GEICO to Settle an Injury Claim? In the above case, the claimant had serious injuries. I argued that her injuries were worth more than GEICO’s $100,000 BIL insurance limits. Her car was damaged badly in the crash. Thus, GEICO paid within three months, which is quick. How Long Does it Take for GEICO to Send the Check After You Settle the Claim? In my past personal injury settlements with GEICO, they often tell me that they print the check the day of the personal injury settlement. On other occasions, GEICO will print the check the next day. Then, the check takes 2 to 5 days or so to get to the claimant’s attorney’s office. Right before you are about to accept GEICO’s settlement offer, tell them that you’ll only agree to settle it if they can send you the check overnight. From my experience, they will agree about 50% to 75% of the time or so. You’ll then have the check the next day. GEICO is more likely to agree to overnight the check in a bigger case. In a injury claim with serious injuries and low bodily injury liability (BIL) insurance limits, GEICO often sends an adjuster to personally deliver the check. I’ve had checks hand delivered by Roma Henning and Mabel Oneal. They are one of the few car insurers who does this. I’ve had an Allstate adjuster hand deliver a settlement check also. However, I ask GEICO to accept my settlement release so that I can protect my client’s rights. I don’t like using GEICO’s settlement release. GEICO usually approves my settlement release. That said, GEICO takes a few days or a week or so to approve my release. Check out this $100,000 settlement for a 23 year old man who claimed a herniated disc, meniscus tear & erectile dysfunction were from a car crash. GEICO paid the $100,000 limits. Most of the settlement was for pain and suffering. I represented the motorcyclist. Motorcycle accident settlements tend to be bigger because the injuries are often more serious. Learn more about GEICO motorcycle accident claims and settlements. A 44-year-old man was driving his car in South Florida. Another car, heading in the opposite direction, crashed head on into him. GEICO insured the drunk driver who caused the accident. According to the police report, the at-fault driver was driving the wrong way. She attempted to make a u-turn in the roadway. While doing so, she struck our client’s vehicle. GEICO’s first offer was $17,500. When the police questioned the at fault driver, they realized that she had been drinking alcohol prior to the crash. They conducted a DUI investigation. The driver who caused the accident was arrested for violation of driving under the influence. To increase the value of our client’s case, we requested the DUI file from the criminal courthouse. In any injury case against a drunk driver, you should request the entire DUI criminal file. It can tons of information that may increase the value of your injury case. The MRI films on my client’s spine showed 2 bulging discs and 2 herniated discs. We argued that the crash caused or aggravated his herniated discs. He didn’t have steroid injections to his spine. Most of this $95,000 settlement was for his pain and suffering. The final $95,000 settlement was for over 5 times GEICO’S the first offer. We settled without a lawsuit. Doug, who lived in California, was on vacation in Miami Beach. While he was walking in a crosswalk, a car hit him.Getting hit while not walking in a crosswalk is one of many factors that can reduce the value of an injury case. Paramedics came to the scene. At the scene, the pedestrian complained of leg pain and other injuries. Paramedics transported him to the hospital in an ambulance. At the hospital, a doctor diagnosed Doug with a broken lower leg bone (fibula fracture). Below is an image of the fibula. If he would’ve had surgery, his case would’ve been worth over $100,000. I say this based on recent verdicts for surgery to a broken lower leg from an accident. In addition, I settled a case for $325,000 where a pedestrian suffered a broken lower leg (and had surgery) after a car hit him. Doug complained of lower back pain after this accident. However, he had a back injury prior to this accident. The pedestrian found me after seeing our online ratings and looking out our website/blog. He hired me to represent him in his personal injury claim against GEICO. Pursuant to Florida Statute 627.7137, I sent GEICO a letter asking for the driver’s insurance information. GEICO responded in writing stating that the driver had a $300,000 bodily injury liability (BIL) policy. GEICO accepted liability for the accident. Thus, our negotiation centered around the extent of the pedestrian’s leg (fibula) fracture. Unlike most Florida car accident cases, here the pedestrian didn’t need a to meet the tort threshold to get money for pain and suffering. Thus, he didn’t need a permanent injury in order to get money for pain and suffering. This is because he was a car hit him while he was a pedestrian visiting from another state. Doug owned a car in California. He had Medpay benefits (with Farmers Insurance) on that car. Doug had Medicare. When it came time to pay them from the total settlement, they had to reduce their liens by my attorney’s fees and costs. This is one reason that a Medicare beneficiary should hire an injury lawyer. California law required Farmers Insurance to reduce its Medpay lien by my attorney’s fees and costs. Lee v. State Farm Mut. Auto. Ins. Co. (1976) 57 Cal.App.3d 458, 465-466, 129 Cal.Rptr. 271. 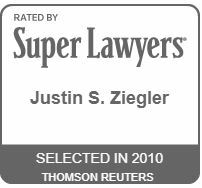 This is one unique aspect of a case if someone from California is injured in a Florida accident. GEICO low-balled me with their first offer for Doug’s personal injury claim. The adjuster was Tiffany Hall. One of the 5 huge mistakes that injury victims make is to always believe what the adjuster tells you your case is worth. I negotiated with GEICO. We settled with GEICO for $65,000. Here is the GEICO settlement check. Therefore, GEICO paid about $57,000 for the pain and suffering associated with his broken leg (fibula fracture). This is a typical settlement amount for pain and suffering for a broken lower leg. Did I Use a Settlement Calculator to Determine How Much This Case Was Worth? No. Although I have a Florida car accident settlement calculator, I didn’t use it to tell me how much the case was worth. If the driver had a better car insurance company, they would’ve likely paid more. For example, I think the settlement would’ve been bigger if the driver had USAA, Nationwide, Lyft (Zurich American Insurance Company) and some others. On the other hand, worse insurers would’ve offered less. Thus, Progressive, State Farm, Allstate, United Auto would’ve offered likely less. I don’t know how much Uber’s insurer (James River) would’ve paid. Did GEICO Use a Settlement Calculator to Make Their Offers? Passenger claimed that the crash caused a wrist sprain. See a $70,000 settlement for a Lyft passenger who was hurt in a crash. GEICO insured the other car, and paid $25,000 of the $70,000 settlement. Immediately after the accident, he had whiplash. Whiplash is worth much less than a broken wrist. The passenger claimed the crash caused or aggravated his neck, back, wrist and ankle injuries. The rest ($45,000) of the settlement was paid by Lyft’s underinsured motorist insurance with Zurich Insurance Company. York Risk Services Group handled the claim for Zurich. I represented the passenger in both injury claims. Three cars were traveling southbound near Kendall, Dade County, Florida. A car failed to stop in time and ran into the rear of another car. It pushed the middle car into the front car, which my client was driving. An ambulance came to the scene and treated every person involved. An ambulance took my client to the hospital. The driver of the Vehicle 1 received a ticket. My client had shoulder surgery. Another insurance company insured the middle car. Progressive paid $10,000 to settle the case. GEICO insured the last vehicle. GEICO paid $47,600 to settle my client’s personal injury claim. Type of fracture that my client had. A young driver lost control of his car. He crashed into the guardrail. He suffered a hip fracture. An ambulance took him to the hospital. Doctors performed surgery on him. Specifically, they put hardware put inside his hip. He claimed that he was cut off by another car that left the scene. My client received a ticket. His mother had purchased $10,000 worth of stacking uninsured motorist (“UM”) coverage. She had five vehicles under the policy. Thus, there was $50,000 in uninsured motorist insurance. We settled for the $50,000 uninsured motorist insurance limits. My client was driving a pickup truck in Pinecrest, Florida. A car ran a stop sign and crashed into him. Immediately after the accident, he had whiplash. Before the crash, he had pain in his back and neck. He claimed that the collision caused or worsened his neck, back pain and herniated discs. After the crash, he had steroid injections. GEICO insured the driver of the car. Amanda Black was the GEICO bodily injury liability (BIL) adjuster. GEICO paid the driver’s $20,000 BIL limits to settle. NARS paid $19,000 from my client’s underinsured motorist insurance on his truck. The total settlement was for $39,000. GEICO paid $25,000 towards the settlement. United Automobile Insurance Company (UAIC) paid $10,000. This is my case. A young lady was a passenger in her car. She settled her case for $30,000 with GEICO. She claimed that a rear end crash caused her herniated disc. The damage to her call wasn’t that big. The accident happened in Miami-Dade County, Florida. A passenger in a car hurt his wrist in an accident. GEICO insured the careless driver. They paid its $25,000 BI limits to settle the passenger’s personal injury case. GEICO paid $21,000 to a driver who was hit from behind. He claimed that the accident caused or aggravated his bulging disc. The crash happened in Coconut Grove, Miami-Dade County, Florida. GEICO paid $10,000 of a $20,000 settlement where a lady claimed that a car made an improper lane change and crashed into her SUV. Her SUV rolled over. She claimed that the crash caused or aggravated a herniated disc, ACL sprain/tear, etc. Windhaven insured the other driver. Windhaven Insurance paid $10,000 to settle the personal injury claim. A lady was driving a car. A driver crashed into her in Palmetto Bay, Miami-Dade County, Florida. She went to Baptist Medical Plaza at Palmetto Bay. Immediately after the accident, she had whiplash. She complained of injuries to her neck and hand. A CT scan showed a C5-C6 small broad disc bulge more focal centrally where there may be a superimposed small central herniation entering the ventral aspect of the thecal with resulting mild impression upon the ventral surface of the cord. She had some numbness of her hand mostly in the radial nerve distribution. She claimed that this was a new injury. The impact was on the left driver side of the car. A neurosurgeon said that she had a questionable fracture on her lower jawbone (mandible) on the CT scan film. The same doctor noted that her lower back was tender. She was diagnosed with cervical radiculopathy, which is a pinched or irritated nerve in the neck causing pain, numbness, or weakness radiating into the chest or arm. Radiculopathy increases the full value of a case. The doctor gave her a neck collar to wear. She was told to not work for three days. The doctor prescribed medication (Vicodin) for her pain. GEICO settled for its $20,000 BI policy limits. Our client was paid over $100,000 in workers compensation benefits with Liberty Mutual. The Liberty Mutual workers comp adjuster told me that they should be entitled to most of the settlement. My client had an attorney (us). Florida’s workers compensation statute (law) required Liberty Mutual to reduce its lien by our attorney fees and costs. I also argued that Florida law required Liberty Mutual to reduce its lien significantly, because my client was not made whole. Liberty Mutual agreed to waive its lien. Watch this video, where my client talks about his injury settlement with GEICO. On April 22, 2018, Jeremy was in his car and stopped at a light in Fort Lauderdale, Florida. A drunk driver hit him. The drunk driver was driving his mom’s car. GEICO insured the car. He had at least one herniated disc in his neck and lower back. How Long Did it Take GEICO to Send the Settlement Check? I like cases with GEICO when their insured is arrested for drunk driving. This is because we can also make a claim for punitive damages. You can read more about this $10,000 settlement. You won’t be able to find a GEICO settlement calculator that would’ve told you that this case would settle for $10,000. Here is a photo of my client and I after the settlement. Not actual client in photo. A car ran a bike rider off the road in North Miami, Florida. The bike rider fell off his bike. The car drove off. The bicyclist fractured his wrist and elbow. The bike rider had a $10,000 UM insurance policy with GEICO. If a car runs you off the road and leaves the scene in Florida, then the car is considered “uninsured“. This is true even if the car doesn’t touch you. GEICO paid us the $10,000 limits of my client’s UM Insurance. My client was visiting Florida from another state. She was driving her car. Another driver crashed into her. She went to the hospital in Fort Pierce, St. Lucie County, Florida. She later went to a chiropractor for several months in her home state. She had a soft tissue lumber (lower back) strain and sprain. GEICO insured the at fault driver. GEICO initially offered $500. They then increased their offer to $800. We refused both offers. We later settled with GEICO for $10,000. She found me through the Internet. Our client’s health insurer did not have lien rights. These reduced case’s full value. Tortura & Company handled the Personal Injury Protection (PIP) claim for our client’s insurer, AAA Auto Insurance. A young man was driving a car in Miami-Dade County, Florida. Another car t-boned his car. The side airbags deployed. The car was a total loss. My client claimed that he was unconscious after the accident. After regaining consciousness, he claimed to be in and out of consciousness. City of Miami Fire rescue took him in an ambulance to the hospital. One of his complaints was that he had headaches since the accident. He had a small cut on his face. A plastic surgeon used stitches to close it. He was left with a small scar. He went to a hospital near Flagami, which is near West Miami, Fontainebleau and Doral. GEICO insured the driver who caused this accident. The injured man also had GEICO PIP insurance. His Personal Injury protection (PIP) insurance paid 80% of his medical bills. It paid 80% of the hospital bill, the plastic surgeon’s $1,755 bill for stitches, the ER doctor’s bill. He also claimed that he had neck and knee pain. He went to a rehab center for about 3 weeks of treatment. Unfortunately, GEICO only insured the careless driver with $10,000 per person/$20,000 per accident in bodily injury liability (BIL) insurance. Another occupant of my client’s car was badly hurt. There was also another individual who may have been injured. GEICO’s BIL claim adjuster was Zaharia Brown. Since there were 3 people who were injured, and 2 of them had bad injuries, GEICO set up a pre-suit mediation. I asked for the mediation to be at my office. At the mediation, GEICO gave me a $10,000 check for the BIL insurance limits to settle my client’s injury case. At pre-suit mediation with GEICO, they typically bring their checkbook to the mediation. GEICO’s PIP adjuster was Lisette Diaz. I settled a personal injury case for $10,000. Immediately after this Florida car accident, he had whiplash. He also had back injuries. We worked with another law firm on this case. Daniel was driving his car in Coral Gables (near the University of Miami). Marlene was driving another car. She crashed into the back of Daniel’s car. Daniel did not take an ambulance to the hospital. In fact, he didn’t go to the hospital at all. Within hours after the accident, Daniel was looking for a personal injury attorney with an office near him in Coral Gables, Miami-Dade County, Florida. He called my law firm and hired us. Daniel was insured with GEICO. The PIP coverage on his car insurance policy paid 80% of his medical bills. We also made a personal injury claim against GEICO (the other driver’s insurance company). We settled with GEICO for $5,200. Most of the settlement was for his pain and suffering. We were also able to get his out of pocket medical bills reduced. This isn’t my case. On May 12, 2011, Guadalupe Carrizales was crossing Judge Winikoff Road near State Road 7 west of Boca Raton, Palm Beach County, Florida. She was taking a morning walk. A 19 year-old drunk driver struck her. He allegedly left the accident scene without helping the pedestrian. The pedestrian died. She was survived by four (4) adult children. On May 27, the pedestrian’s son, Manuel, as personal representative of the estate, sued the driver and the owner of the car. In Florida, the a car owner is responsible up to $100,000 (in most cases) for injury for the at-fault driver’s carelessness. In addition, he sued the owner under the theory that he shouldn’t have let Falzini drive, since he was allegedly drunk. The adult children claimed that the defendant driver was driving fast and hit their mother. She was allegedly struck by the speeding Infiniti G35 car with such force that she was dismembered. The driver allegedly left the scene. The driver was allegedly found at his home, which was many miles from where the accident happened. The personal representative (PR) claimed that there was proof that the owner of the car was with the driver before the crash and the owner knew that the driver was drunk before he gave him permission to driver his car. Toxicology reports allegedly showed that the driver’s blood alcohol level was above the legal amount. GEICO insured the driver with $10,000 in bodily injury liability (BIL) insurance. Allstate insured the car owner with $100,000 in BIL insurance, and a $2 million umbrella insurance policy. Allstate initially denied coverage on the umbrella policy. That means that they didn’t offer any money from the umbrella coverage. However, Allstate and GEICO paid the full amount of the policies to settle. The total settlement against the driver and the car owner was for $2,110,000. Every wrongful death accident is tragic. No amount of money will compensate the adult children for the loss of their mother. However, the adult children were fortunate that the car owner had such a big insurance policy. Most individuals in Florida do not carry anywhere close to $2.1 million in liability coverage. The date of the settlement against the driver who caused the accident was on was 8/5/11. The settlement with the car owner was around that time. Allstate and GEICO allegedly paid on the day the settlement was reached. They settled before trial. The personal representative continued the lawsuit against the hotel and bar for allegedly serving the minor driver. I am not sure how much the medical bills. I assume that they were very minimal (a few hundred dollars at most for the ambulance bill) as the mother died at the accident scene. The case is Manuel Carrizales, as Personal Representative of the Estate of Guadalupe Carrizales v Ronald Falzini and David Hanzelik, 2K Clevelander d/b/a The Clevelander, and Miller’s Alehouse, Inc. d/b/a Boca Alehouse. Case No. 502011 CA 007910 XXXXMB. Cases where a drunk driver causes an accident are generally worth more than if the driver was sober (not drunk) and just careless. This is because the adult children can sue the drunk driver for punitive damages. Punitive damages are in addition to compensation for medical bills, and pain and suffering. I don’t know if the woman was crossing the street in a crosswalk. Juries usually place little, if any, fault on pedestrian’s in a crosswalk. If she was walking across the road and not at a crosswalk, she would probably be partially at fault. If the pedestrian was partially at fault, the insurance company for the owner of the car and drunk driver would reduce the value of the wrongful death claim by their mother’s percentage of fault. This verdict shows that an insurance companies may pay $527,750 or more for an adult child’s claim for mental pain and suffering. This is not my case. Valerena Candy was in a three car motor vehicle accident on July 18, 2009. At the time of the accident, Candy was riding as a passenger in the front seat of a vehicle being driven by Annalise Mannix. Annalise Mannix’s vehicle came to a stop in a line of traffic, when it was rear ended by a second vehicle that was propelled forward by a third vehicle, which was being driven by Danais Hernandez. The second vehicle caused minimal damage to Mannix’s vehicle. Further, Danais Hernandez was cited for careless driving as a result of the accident. Candy did not seek emergency medical treatment. The following day, she went to the hospital with complaints of headache, neck pain (whiplash). In addition, she complained of right shoulder pain. Thereafter, she was treated conservatively for chest, neck and low back pain. A chiropractor, Dr. Ross Williams, diagnosed her with cervicalgia. Cervicalgia is neck pain that occurs toward the rear or the side of the cervical (upper) spinal vertebrae. Candy had lumbar and cervical MRIs, which revealed multi-level disc herniations. Candy hired a personal injury lawyer. Although there was approximation, reports were negative for spinal cord compression and nerve root impingement. This means that according to GEICO, Candy didn’t have spinal cord compression and nerve root impingement. GEICO’s letter implied that if Candy would have had spinal cord compression and nerve root impingement, they would have offered more to settle. Candy also treated with Dr. Robert Cantana, D.O., an orthopedic surgeon. His video deposition was played at trial. She had two cervical epidural steroid injections. Around June 22, 2010, Candy Valerena sued GEICO in Key West, Monroe County, Florida. She filed a civil remedy notice of insurer violation against GEICO. An injured person usually files a civil remedy in an uninsured motorist (UM) insurance case so that the he or she isn’t limited to the UM insurance limits if a jury awards more than the the limits. On October 28, 2010, GEICO offered $20,233.54 to settle Candy’s uninsured motorist insurance claim. On March 2012, she had neck surgery to repair injuries allegedly caused by the accident. Specifically, she underwent a diskectomy and spinal fusion at the C5-C6 and C6-C7 with interior plating inner body grafts. This was done by Dr. Kalman Blumberg, a spinal surgeon, at Florida Spine Specialists. Dr. Blumberg’s video deposition was played at trial. GEICO’s attorney hired an orthopedic surgeon, Dr. Rafael Fernandez, to give his opinion on Candy’s injuries. Dr. Fernandez’ opinion was that Candy’s injuries were pre-existing and not caused by the accident. Side note: Dr. Fernandez was a workers’ compensation doctor who did shoulder surgery on a client of mine whose case I settled for $210,000. In my case, when I spoke with Dr. Fernandez, his opinion was that the shoulder surgery wasn’t related to the rear end crash. GEICO hired a biomechanical engineer who said that the delta force of the Honda was only 4.3 miles per hour in the crash. Therefore, he said that Candy could not have been injured in the crash with such a low impact. GEICO used its in house Miami lawyers to defend the case. However, 5 days before trial, they brought in outside counsel (attorneys) to defend GEICO at trial. This costs GEICO more money because they likely had to pay the outside counsel by the hour. On April 11, 2013, at trial a jury awarded her $326,468. Candy was 51 at the time of trial. They gave her $141,408 in past medical expenses. However, in Florida the injured person cannot recover the billed charges if insurance paid at a lower rate. Candy received $10,000 in PIP and $10,000 in Medpay Benefits. Thus, GEICO was entitled to a $20,000 credit for PIP and Medpay. Also, she had health insurance that paid a good amount of her medical bills. Since her health insurance company had a contract with some of her medical providers, GEICO was entitled to a credit for the discounts. Thus, GEICO got a credit of $55,299.81 for her health insurance discounts. Basically, GEICO only owed Candy $66,108 for her past medical bills after GEICO got its credits for her PIP, Medpay and health insurance discounts. Apparently, Candy also settled with Progressive for $7,000. I don’t know who Progressive insured in this case. After all of the credits (setoffs), the $326,468 verdict was reduced to $244,108.19. Thus, the case value was 1.7 times the total medical billed charges. The case value was 3.8 times the amount of medical bills that GEICO owed. Candy did not ask the jury to award her future medical expenses. The jury found that she had a permanent injury. Thus, she was entitled to money for pain and suffering. $77,700 was for past pain and suffering. $107,300 was for future pain and suffering. Again, the total judgment was for $244,108.19. Candy only had $50,000 in uninsured motorist insurance with GEICO. However, her verdict against GEICO was for way above the $50,000 limits. Next, she sued GEICO in federal court for failing to pay the $50,000 UM limits when it could and should have. The jury for the bad faith case found that GEICO did not act in bad faith. Thus, Candy’s payout was capped at $50,000. In addition, she recovered her court costs of $12,042.47. A car ran over a pedestrian’s foot in Miami Beach. He claimed that the accident caused a foot and ankle injury. The pedestrian was working as a valet at the time of the accident. He was covered by his employer’s workers compensation insurance with Liberty Mutual. Liberty Mutual paid about $2,000 of the pedestrian’s medical bills, and lost wages. Allstate insured the driver. They paid $10,000 to settle the pedestrian’s injury case. Since workers’ compensation paid medical bills and lost wages, they were entitled to be paid back from the injury settlement with Allstate. We negotiated with Liberty Mutual, and they accepted $553 to pay off their workers comp lien of about $2,000. I paid Liberty Mutual from the personal injury settlement. The next step was to get my client reimbursed for the $553. GEICO insured a car that the pedestrian owned. GEICO’s PIP adjuster was Maegan Thompson. I asked GEICO to use the pedestrian’s PIP to pay us back for the $553 that we paid to Liberty Mutual. GEICO refused. They argued that since the pedestrian’s PIP deductible was $1,000, GEICO didn’t owe any PIP benefits for the first $1,000. I told GEICO that GEICO’s deductible argument was wrong since the original workers comp lien was $2,000. GEICO denied my request. I then sent GEICO a copy of a Florida case that says that GEICO’s argument was wrong. GEICO then sent us a check for the $1,068.55. This amount covered the workers comp lien that I paid. It also covered the pedestrian’s first 7 days of lost wages that workers comp didn’t pay. This isn’t my case. On July 27, 2007, Cadle was injured in an automobile accident on I-95, when she was rear-ended by Derek Friend. Cadle was insured by GEICO under a stacked uninsured motorist (“UM”) policy with a $75,000 limit. Friend was insured by Allstate under a policy with a $25,000 limit. Following the accident, Cadle consulted her primary-care physician, who prescribed three weeks of physical therapy, which did not alleviate Cadle’s pain. In August 2007, she was referred for an MRI of her cervical spine (neck) and a neurosurgical consultation. This resulted in pain management, including epidural injections. Between August 2007 and June 2008, Cadle had ten facet or nerve blocks, which required anesthesia. None effectively managed her pain. Cadle had a pre-existing-neck injury that had required surgery in France in 1989, but she had been doing well prior to the July 27, 2007, automobile accident. On December 15, 2009, Cadle had surgery, because of the pain she had continued to experience. The surgery consisted of opening the front of her neck, removing the twenty-year-old facet from her prior surgery. Then, they replaced it a larger facet to stabilize her neck. Cadle returned to work on January 4, 2010, with a neck collar and bone stimulator. GEICO noted, when it became aware Cadle underwent a surgery, it tendered the $75,000 policy limits, which were rejected. In her uninsured motorist (UM) insurance trial against GEICO, the jury found Cadle had sustained a permanent injury within a reasonable degree of medical probability as a result of the July 27, 2007, accident and awarded her a verdict of $900,000. Cadle’s attorney claimed that GEICO acted in bad faith by not tendering the $75,000 uninsured motorist (UM) insurance limits much sooner. In a UM case against GEICO, you need to send GEICO a CRN if you want GEICO to pay you more than the UM policy limits if GEICO didn’t pay the UM limits when it could and should have. GEICO then has 60 days to pay the policy limits. If they do so, your UM case against GEICO is over. You have to accept the UM limits. If GEICO fails to pay within 60 days, and you win at trial, GEICO may owe you the amount of the verdict. They may not be limited to owing you just the UM policy limits. The appeals court found that GEICO didn’t act in bad faith because at the time when her Civil Remedy Notice (“CRN”) under Florida Statutes §624.155 expired, she failed to show a permanent injury for pain and suffering damages. Even though she didn’t show a permanent injury at that time, if her out of pocket medical bills or lost wages were above $75,000, GEICO may have owed her the $816,636.31 judgment. However, in this case, GEICO only was aware that Cadle’s attorney said that medical bills were above $50,000 and increasing. Thus, Her bills were less than the $75,000 limits. This case is Catherine Cadle v. GEICO General Insurance Company (US Court of Appeals 11th Circuit September 30, 2016). Make sure that you have shown that your uninsured motorist (UM) insurance case is worth more than the UM policy limits before the CRN 60 day period expires. This isn’t my case. In Government Employees Insurance Company v. Macedo, Fla: Supreme Court 2017, the court said that GEICO must pay the injured claimant’s costs and attorney’s fees awarded against GEICO’s insured after GEICO failed to settle. Zackery Lombardo’s automobile insurance with GEICO provided bodily injury liability coverage for up to $100,000 per person. The policy also gave GEICO the sole authority to settle any claim or lawsuit. Alysia Macedo sued Lombardo for damages resulting from bodily injuries she sustained in an April 2012 automobile collision with Lombardo. On May 1, 2014, Macedo served Lombardo with a proposal for settlement for $50,000, which was not accepted. The case went to trial. The jury returned a verdict in favor of Macedo in the amount of $243,954.55. The final judgment was for $172,965.91 because the jury found Macedo 25% responsible for her injuries and Macedo had received $10,000 in personal injury protection benefits. Here, GEICO was authorized to settle the case. GEICO could have settled for half of the policy limit. It chose not to. A jury returned a verdict in Ms. Macedo’s favor, awarding more than four times the amount of the offer. I don’t know whether GEICO should have settled the case for $50,000 when it received the offer to settle. I say this because I don’t know what Macedo’s injuries were at the time she made the offer to settle with GEICO. If GEICO should’ve paid the $50,000 when it received the offer to settle, this case is another example of GEICO being a below average bodily injury insurer. Will GEICO Pay You More Money if Your Doctor Mentions the Cost of Your Surgery? Maybe. In Gonzalez v. GEICO General Insurance Company, Dist. Court, MD Florida 2016, Lisa Anderson was injured in an automobile accident. This isn’t my case. GEICO insured a driver, Ramjohn, who was at fault for the accident. An MRI said that Anderson she had a L5-S1 large left paracentral disc herniation with an annular tear impinging on the left descending sacral nerve roots with edema at the endplates of L5-S1. She had other injuries as well. Her orthopedic doctor’s Final Evaluation said that she had a permanent impairment. Her attorney sent this evaluation to GEICO. GEICO insured Ramjohn with $100,000 per person bodily injury (“BI”) coverage. Anderson’s attorney demanded the $100,000 limits. GEICO offered $2,581.16. Anderson’s attorney sent additional medical records, which stated that if Anderson chose to have surgery for an L5-S1 microendoscopic discectomy, the estimated costs for the surgeon’s services would be $24,000. Facility fees or anesthesiologist charges were extra. On December 9, 2009, Anderson’s attorney informed GEICO that Anderson’s surgery was scheduled for the next day. The letter enclosed the surgeon’s notes on Anderson’s evaluation. The notes said that Anderson wished to undergo minimally invasive microendoscopic diskectomy with the understanding that she would need additional surgery in the future in the form of L5-S1 fusion or artificial disk replacements. Based on this additional information, GEICO increased its offer to $22,500. The record reflects that, although GEICO believed $22,500 was a “fair value based upon other settlements,” no witness in this case has an independent recollection as to how GEICO arrived at the $22,500 number. It was only until almost four months after the surgery, when GEICO offered to pay the $100,000 policy limits. This offer was not accepted. As soon as you have a herniated disc on a woman of this age, that in and of itself verifies for insurance professionals that this claim is always worth in excess of a hundred thousand dollars. Her subsequent care and treatment may tend to increase that number as we go forward, but it never gets less than that. Knowe also said that Geico’s offers of $2,581.16, on November 12, and $2,928.56, on November 19, 2009, which allocated nothing for future medical expenses and only $500 for pain and suffering damages were unreasonable “lowball offers“. He said that they were way off from the insurance industry custom and practice. GEICO admitted that the initial offer was at the “bottom end of the negotiation range.” Gary Gertz was GEICO’s former regional claim manager for the continuing unit that handled Anderson’s claim. He testified that GEICO should “hold the line” and refuse to settle whenever GEICO believed it had any “rational basis” for its lower valuation of a liability claim. Gertz explained that paying more on one claim “simply because an attorney asked for it” could “set the value of the next 100, 1,000, 5,000 claims” higher. According to Gertz, even where GEICO’s “evaluation” of a claim was only a “couple of grand” less than the claimant’s settlement offer, GEICO would force the injured claimant’s attorney to file a lawsuit against GEICO’s insured, without regard for the exposure its insured faced. The judge said that a jury could find that GEICO did not handle Anderson’s claim with the same degree of care and diligence that GEICO would have used to handle its own affairs. As I mentioned earlier, Anderson won her personal injury case. After the bad faith trial, GEICO paid the judgment in full, plus attorney’s fees and costs. This isn’t my case. On December 22, 2005, Blanchard, while operating a motor vehicle covered under the Geico policy, struck pedestrians, Edelmida and Paulino Rodriguez. They sued for personal injuries. The car accident happened near the intersection of SW 72nd Street and SW 97th Avenue in Miami. The Geico policy provided liability limits to Blanchard in the amounts of $10,000 for each claimant. Geico immediately paid its $10,000 policy limits to each injured victim. The case is Geico General Insurance Co. v. Rodriguez, 155 So.3d 1163 (Fla. 3rd DCA 2014). The injured victims’ attorneys were from Weston, Florida and Miami. GEICO’s attorney was from Miami. My thoughts: I think that the injured victims’ attorney may have sued GEICO for allegedly acting in bad faith. This isn’t my case. A man sued GEICO for UM benefits after an automobile crash. He also filed a Civil Remedy Notice (“CRN”) as authorized by section 624.155, claiming that he sustained serious and permanent injuries exceeding his UM policy limits. GEICO answered the lawsuit and responded to the CRN, stating that based on its investigation, which included a review of his medical records, it would not offer policy limits. After learning he had undergone surgery several years later, GEICO offered the $10,000 policy limits. He did not accept the offer. I don’t know the final outcome. The case is GEICO Casualty Company v. Barber, Fla: Dist. Court of Appeals, 5th Dist. 2014. This isn’t my case. Annie Lepine sued, on behalf of her husband’s estate and herself, against GEICO and Robert Taylor, the auto-accident tortfeasor whom GEICO insured. Ms. Lepine claimed that GEICO, as agent for its insured, Mr. Taylor, agreed to pay policy limits of $100,000 to Ms. Lepine. The appeals court ruled that Ms. Lepine could not sue GEICO as a defendant until she obtains either a judgment against or a settlement with Mr. Taylor, GEICO’s insured. Can a Ticket Be Used in an Injury Case to Show Who Caused the Accident? In addition, in a personal injury case, questions to a driver or a witness, asked by one of the drivers, about whether traffic citations were issued is not allowed. However, if one driver caused death or serious bodily injury to another driver, then an in person guilty plea to the ticket may be used in the personal injury case if two conditions are met. “In person” means that the the driver appeared to the traffic court. If the ticket was paid via the mail-in procedure of section 318.14(4), this isn’t enough for the guilty plea to be used in the injury case. an injury to any person, including the driver, which consists of a physical condition that creates a substantial risk of death, serious personal disfigurement, or protracted loss or impairment of the function of any bodily member or organ. Which Injuries Aren’t Considered “Serious Bodily Injury” for Purposes of Using a Guilty Plea on the Ticket Against the Other Driver? Which Injuries Are Considered “Serious Bodily Injury” for Purposes of Using a Guilty Plea on the Ticket Against the Other Driver? There are many other cases that talk about what a “serious bodily injury” is [for purposes of being able to use a traffic ticket in a personal injury case]. I just listed a few. 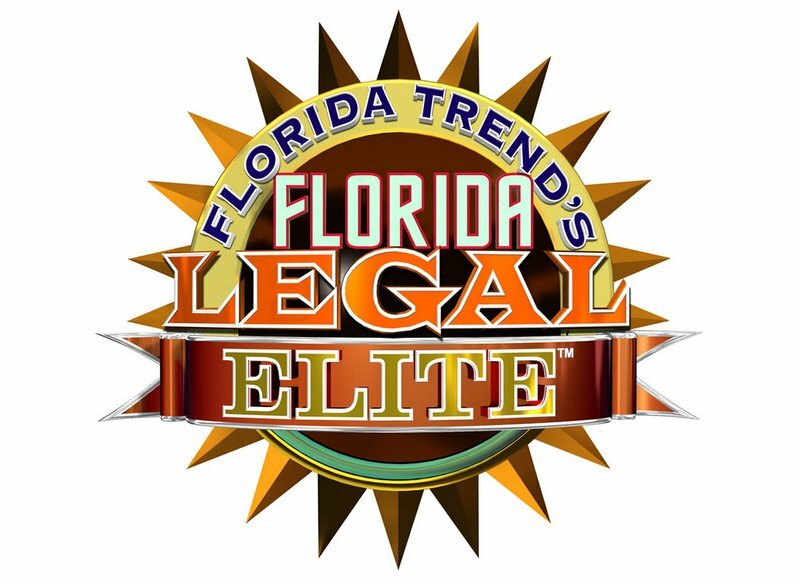 The “serious bodily injury” standard is higher than Florida’s tort threshold in personal injury claims. Will an At Fault Driver With Low Limits Have An Umbrella Policy? Let’s assume that the at fault driver’s (who GEICO insures) BIL insurance limits aren’t enough to pay for the fair value of the injured person’s case. We’ll assume that there aren’t any other parties to sue, and the injured person doesn’t have UM insurance. How do you know if the at-fault driver (who GEICO insures) will have an umbrella insurance policy? I recently heard a GEICO sales agent say that GEICO doesn’t sell umbrella policies unless their insured has a $250,000 per person/$500,000 per accident (or higher) BIL insurance on their car. Therefore, if the at fault driver has limits that are lower than $250,000 per person, don’t expect the at fault driver to have an umbrella insurance policy with GEICO. Perhaps they have umbrella insurance from another insurer. On the other hand, if the at fault driver – who GEICO insures – has $250,000 per person BIL insurance limits or higher, there is a greater likelihood that he or she has an umbrella policy. Which GEICO injury liability adjusters have I dealt with? Over the past 14 years, I’ve dealt with and/or settled accident claims with many GEICO injury adjusters. Most GEICO adjusters are friendly. On a couple of occasions, GEICO adjusters have been unpleasant. However, I will not say anything bad about those adjusters. Next to some of the adjusters names below, I say that they were very nice. This doesn’t mean that the other GEICO adjusters weren’t nice. It just means that these adjusters were exceptionally nice. GEICO should be proud of them. injury claims for herniated discs against GEICO in Florida. wrist and hand injury cases with GEICO in Florida. Check out some of the many Florida injury cases that we have settled, including but not limited to car accidents, truck accidents, motorcycle accidents, bike accidents, pedestrian accidents, taxi accidents, drunk driving (DUI) accidents, and much more. Our Miami law firm represents people injured anywhere in Florida in car accidents, truck accidents, slip, trip and falls, motorcycle accidents, bike accidents, drunk driving crashes, pedestrian accidents, taxi accidents, Uber accidents, and many other types of accidents.